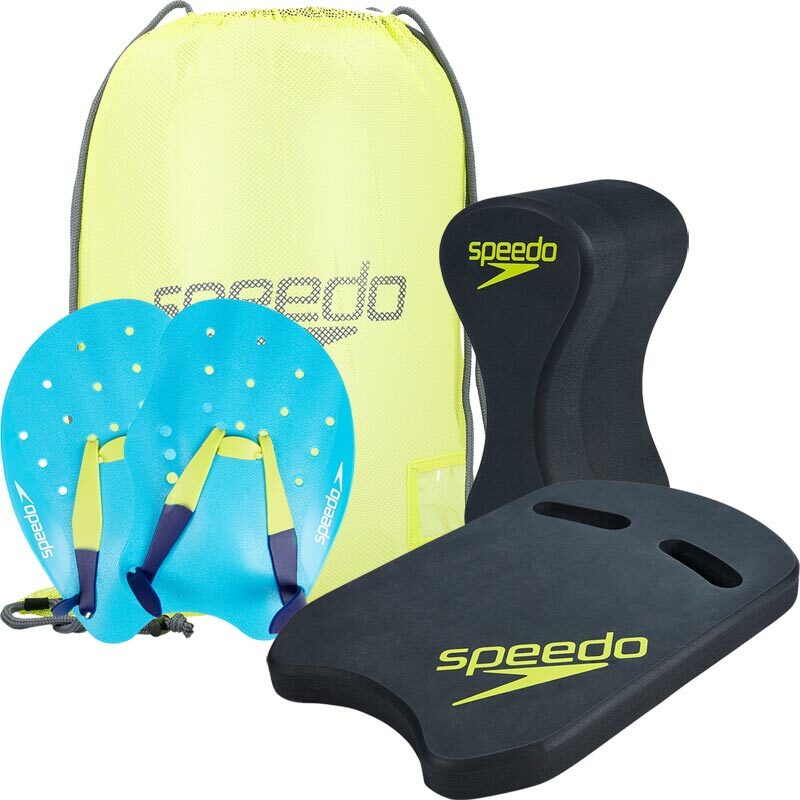 The Speedo Essential Training Aid Pack is designed to help you get the most from your swim workout. Each training aid will work a particular part of your body, so you can focus on increasing strength, stamina or tone where it suits you. The size refers to the paddles that come in 3 sizes(small, medium, large). One size fits all (small, medium, large refers to amount of resistance required). 1 x Speedo Biofuse Tech Paddles. 1 x Speedo Universal Kickboard. 1 x Speedo Pool Mesh Bag. 100% Polyester mesh drawstring bag. 41cm x 28cm x 4cm kickboard. Ethylene Vinyl Acetate pullbuoy designed to develop upper body strength.